The Band Parent Meeting this Tuesday is easily the most important of the year. The information presented will set the foundation for the band program for the 2018-2019 school year. With the Fall Marching season kicking into high gear this year, there is a lot you’ll be needing to know. We hope to see all band parents there including current 8th grade band parents. Tuesday, May 8th at 7:00 p.m. in the High School Auditorium. Thanks to dedicated band parents and generous community members, I am excited to report that we are nearing the William Rutherford Challenge fundraising goal! He has challenged the band to raise $15,000 and will match it dollar for dollar. Please keep spreading the word and help get the band on a solid financial footing. Donations can be made online or offline at MacBand.net. Thanks! 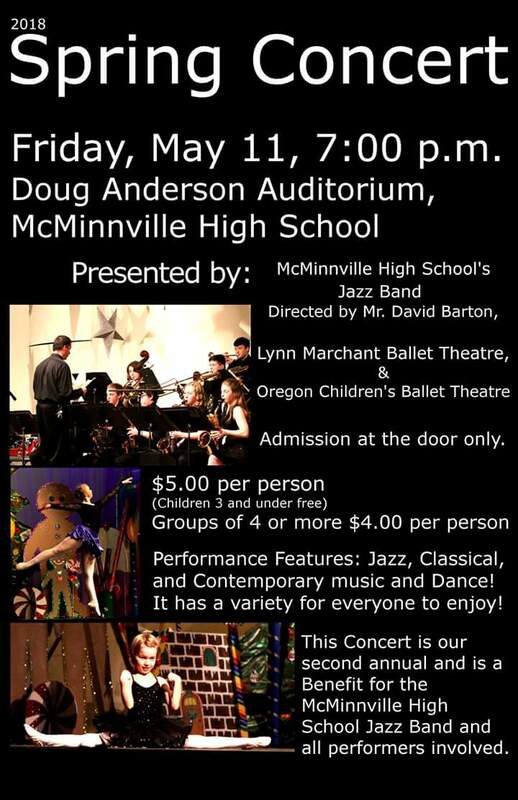 If you would like to read about another way that Mr Rutherford is supporting music in the McMinnville Schools, check out this article currently on the district website.